The all NEW O2 Classic Pay As You Go tariff has just launched and it gives your customers even more for their money. With NEW rates from as little as 3p a minute, 2p a text and 1p a MB, trading to customers that like to keep things simple and pay for what they use will be as easy as ever. We’ve even refreshed your order allowances so you can place orders for the NEW Classic Pay As You Go tariff today. And don’t worry, ordering these additional sims won’t affect you in April as we won’t be running downgrades until August 2018. From 18 January all existing customers will be automatically upgraded and can start taking advantage of the new rates. Don’t worry, any old Classic Pay As You Go sims can still be activated up until their expiry and will be automatically upgraded to the new rates when activated. 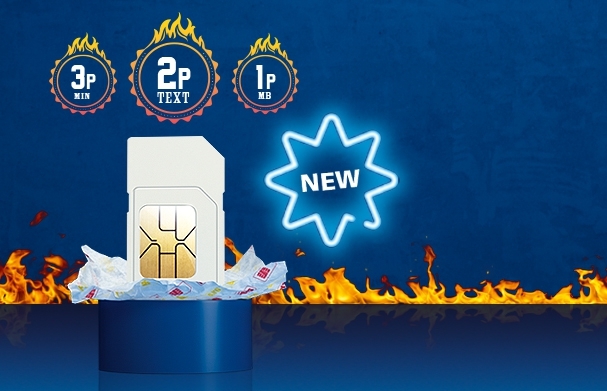 TOP TIP: Remember to swap any of your old sim packs on display to the NEW Classic Pay As You Go sim packs to ensure your customers can see the great rates that are available. Click here to Place your orders for the NEW Classic Pay As You Go tariff today.